Appalachia & Beyond: Which Bike is Right For Your Chosen Trail? Spring is here! And with spring comes warmer weather that is perfect for biking! There are many different trails to take advantage of this spring. However, in order to ensure smooth navigation and riding, you should consider what your trail is like, the climate of the area, and which bike would work best for your chosen trail. There are several different bike options available for serious cyclers. Having the right bike for your chosen trail will make a huge difference in your riding and how enjoyable your biking trip is. Here’s a breakdown on some of the most popular bikes and which trails they work the best for. 1. Mountain Bikes – Mountain bikes are some of the most popular bikes for cyclists to use on trails. They are perfect for mountain conditions, dirt paths, and other off-road conditions. However, these bikes are also frequently used on an all-around basis due to their durability and strength. 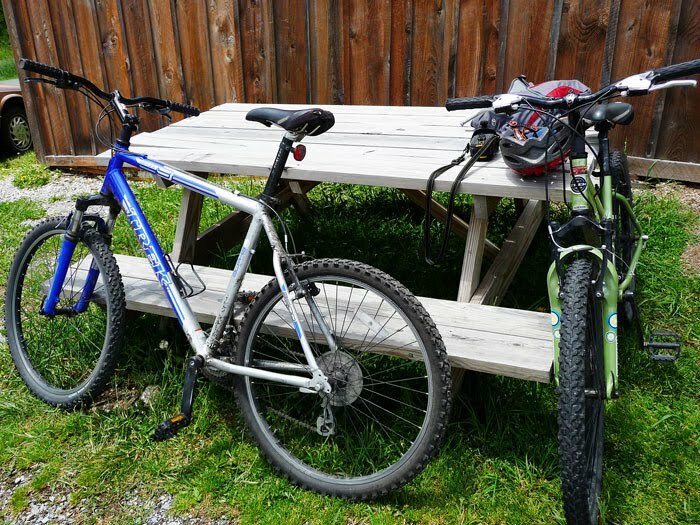 If you want to use a mountain bike on the road it will also be an excellent choice since they can handle rough road conditions such as potholes very well. 2. Fat Bikes – While everyone knows of mountain bikes, only few people are aware of fat bikes. However, this year they are quickly gaining popularity. Fat bikes are very similar to mountain bikes, but they provide even more benefits. If you’re looking to try a bike trail through a desert or other harsh conditions, the fat bike is essential. It has oversized tires (usually 3.7” or more with rims that are at least 44mm) that allow you to pedal through virtually anything. They will also be great next winter if you’d like to ride through the snow. The fat bike is essential for the adventurous cyclist looking to bike through a variety of different places and conditions. It is the mostrecommended bike for bikepacking trips, as explained in this infographic. 3. Road Bikes – If you’re looking to ride your bike with the intention of getting into shape, the road bike might be your best option. These bikes were made for competitive bikers and are extremely light-weight. You will be able to bike faster and further with a road bike. The only drawback? They don’t work well on dirt or unpaved surfaces. If you intend to make the road (or even sidewalk) your chosen trail, then this bike will be perfect. However, if you want a more adventurous route, opt for a different bike style. 4. BMX Bikes – Maybe you don’t want to ride the trail at all. Perhaps you like a whole different kind of adventure --- bike tricks. If you intend to use your bike to perform flips and other tricks, a BMX style bike is crucial. BMX bikes were designed to go only short distances and to be used in park settings. They tend to be smaller and more light-weight than other bikes which allow for easy maneuvering and grinding. These are perfect for stunts, but if you’re looking for an enjoyable, long bike cruise, try a different style. 5. Beach Cruisers – Don’t be fooled by the beauty of a beach cruiser. Sure, these bikes are often the most beautiful of the bunch, but they are very limited in their capabilities. These bikes are great for a short and comfortable ride on a smooth surface. If you’re hoping to bike through a variety of settings for an hour or more, these bikes won’t work well for you. Also, these bikes are often only capable of going one set speed. These bikes won’t work for racing trails. Remember also, many enjoyable features of beach cruisers including baskets and other accessories can always be added to a different style bike. What is your favorite style bike? Which trails do you use it on?